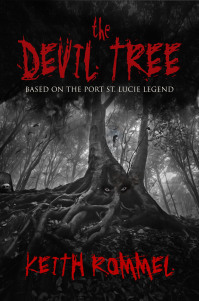 Back in the 1970s, a series of bizarre incidents occured at what has since been known as “The Devil Tree.” Beneath this ancient denizen, evil was wrought by a sick serial killer, calling upon forces most evil and dark. People were hung there … and bodies buried there … exhumed by the police. Overcome by superstition, some tried to cut down the tree, to no avail. Since then, it has stood in a remote section of a local park — left to its own devices — quiet in its eerie repose — until now!